White glass container doubles as a food-safe stemless wine glass. Thirteen-ounce candle has an approximate burn time of 50 hours. 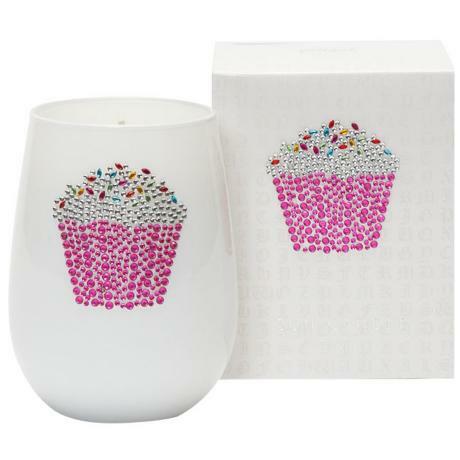 With a hand-jeweled cupcake icon on the glass and matching gift box. • Fresh-baked frosted yellow cake scent. • 13 ounces; approximately 50 hour burn time.